Ignacio DeLoyola film to be screened. 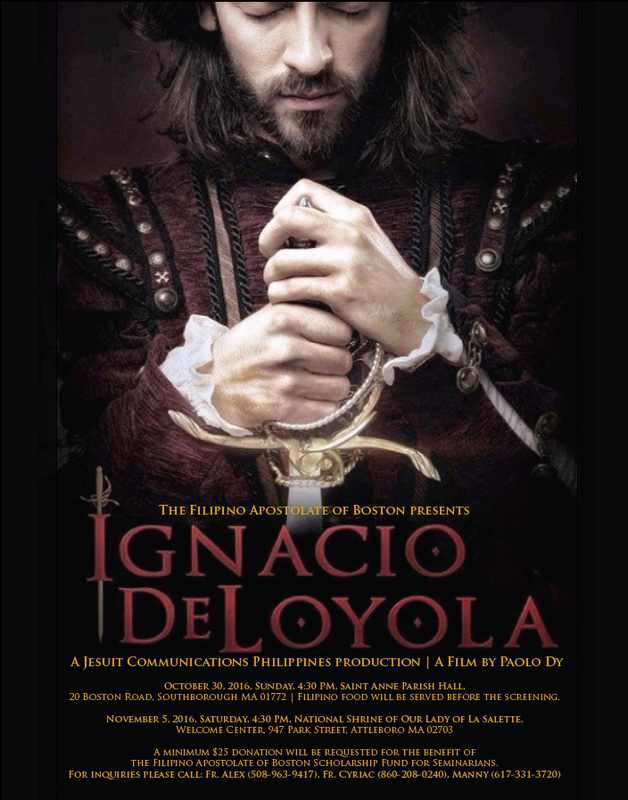 20 Boston Road, Southborough MA 01772 | Filipino food will be served before the screening. 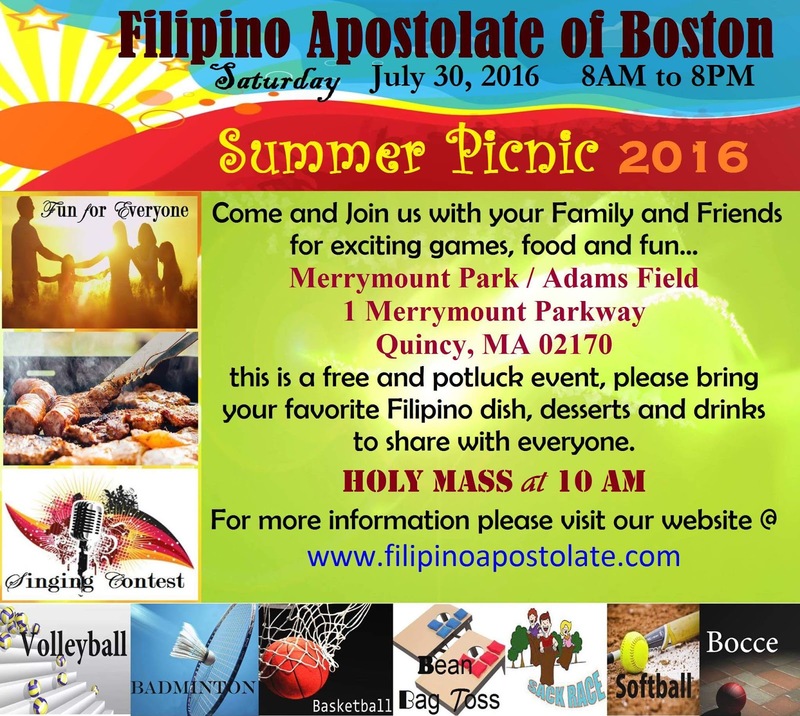 the Filipino Apostolate of Boston Scholarship Fund for Seminarians. 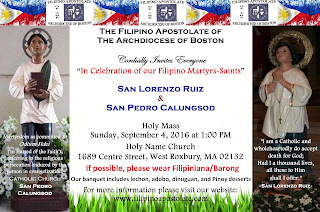 "In Celebration of our Filipino Martyrs-Saints"
è Basketball – Mixed Full Court at Fenno St.
Father Alex Castro would like to Celebrate a Special Mass for Philippines Independence Day together with advanced Father Day Blessings. A Special Prayer for All Fathers and our Country will be recited by Fr. Alex Castro during the announcement. 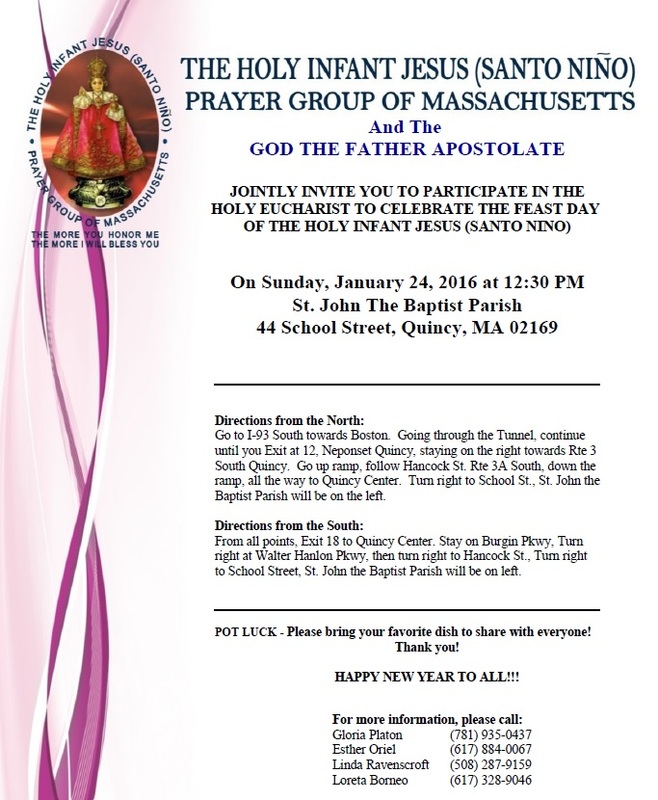 As usual, Potluck Lunch will follow after the Mass. Please don't forget to bring your favorite food to share. For further inquiries, please e-mail Gloria Platon gloriap2005@verizon.net and/or Evelyn Dusaban 1momnoeele@verizon.net, tel. 781-267-5771. 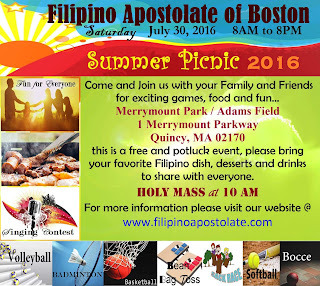 Sunday, May 29, 2016 @ 10:30 A.M.
You received this message because you are subscribed to the Google Groups "Filipinoapostolate" group. To unsubscribe from this group and stop receiving emails from it, send an email to filipinoapostolate+unsubscribe@googlegroups.com. We would like to invite you, your family and friends to our yearly Family Fun Night celebration, this Saturday, May 21 from 5:30 to 8:45 pm at St. Joseph Church, 790 Salem St., Malden, MA. •. Enjoy watching our little girls showcase their talent to our very first Little Miss Fun Night. •. A surprise gift awaits the person wearing the Best Whimsical Costume. •. Groove to the rhythm of Line dancing music. •. Raffle prizes will be given away. St. Joseph Church, 790 Salem St. Malden MA on 2nd Sunday, May 8, 2016. Assembly time - please form two lines behind the Altar Servers bearing the Cross and two kids carrying the Crown. 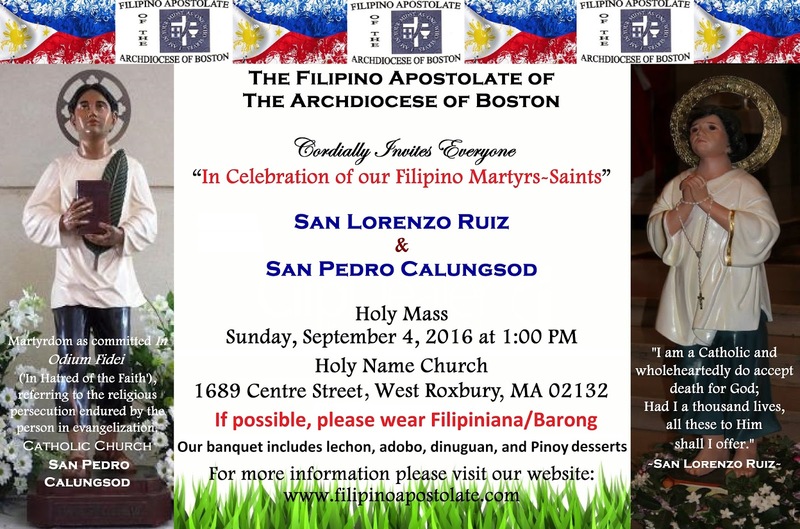 12:30 PM - Procession will start and Holy Rosary will be recited. We will sing Ave, Ave Maria after each decade. 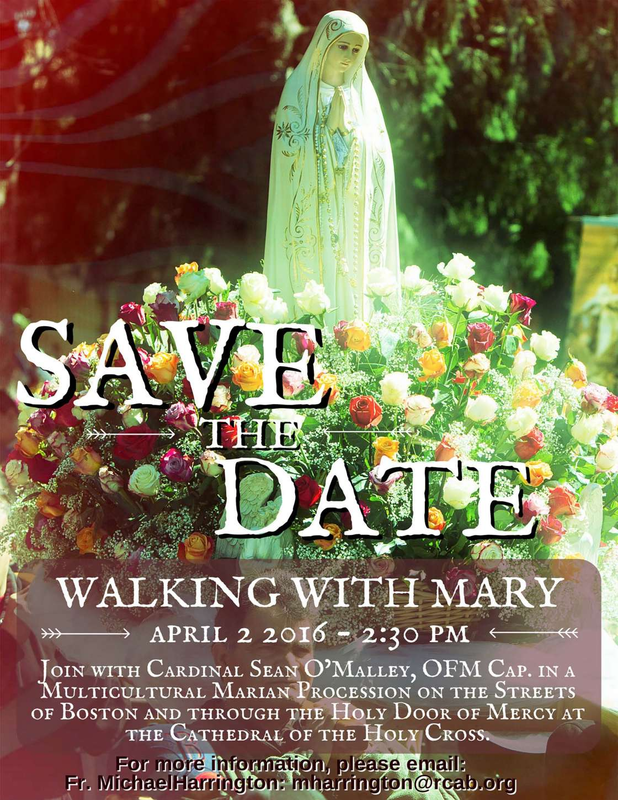 After the procession, children can offer their flowers in Honor of our Blessed Virgin Mary. 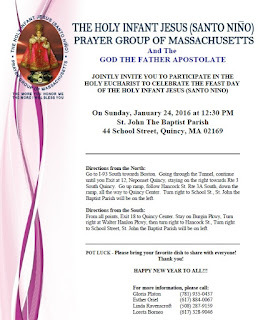 We should be done before the Mass at 1:00 pm. and can be made on the registration page.